If your T-Mobile device has malfunctioned due to mechanical or electrical breakdown please call T-Mobile at 1-877-778-2106. 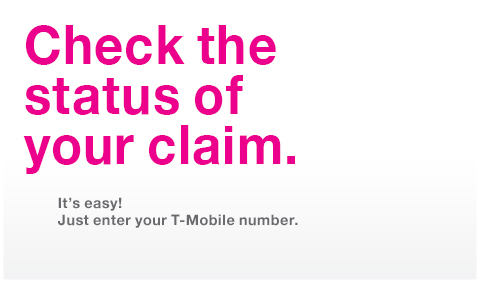 A T-Mobile associate will help you in filing your claim. Pay In Advance customers with a mechanical or electrical breakdown claim, click the Continue button below. Protect your device and enjoy peace of mind. All you need is your device's make and model.